This is the marble base of a statue of Henry Morrison Flagler. 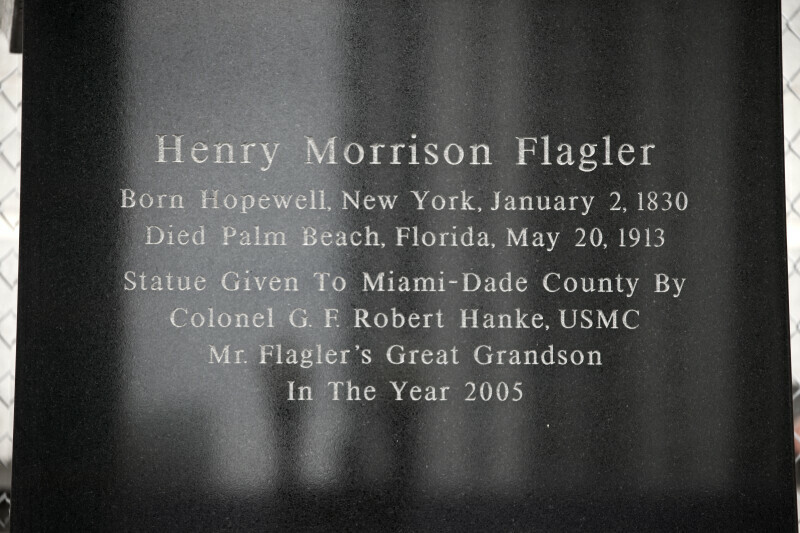 The base is inscribed with information about Henry M. Flagler. This statue is on the grounds of the Miami-Dade County Courthouse.